Organic Cropping Systems (OCS) is a study comparing four different organic cropping systems. The four different systems are a high fertility system, low fertility system, enhanced weed management system, and reduced tillage system. The experiment is headed by several people. The head person in our lab is Brian Caldwell. All the work that I have done has been on a sub-experiment within the OCS experiment. This experiment is run by Margaret Ball, one of the grad students in our lab. From this point when I mention OCS, I will be talking about Margaret’s sub-experiment. 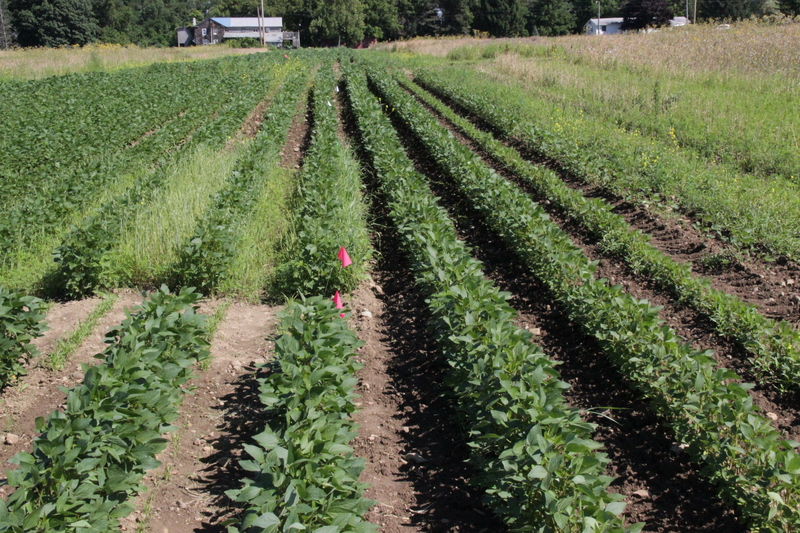 Margaret’s experiment compares weed suppression, weed community composition, weed-crop competition and effect of nutrient addition among soybean in all four systems. 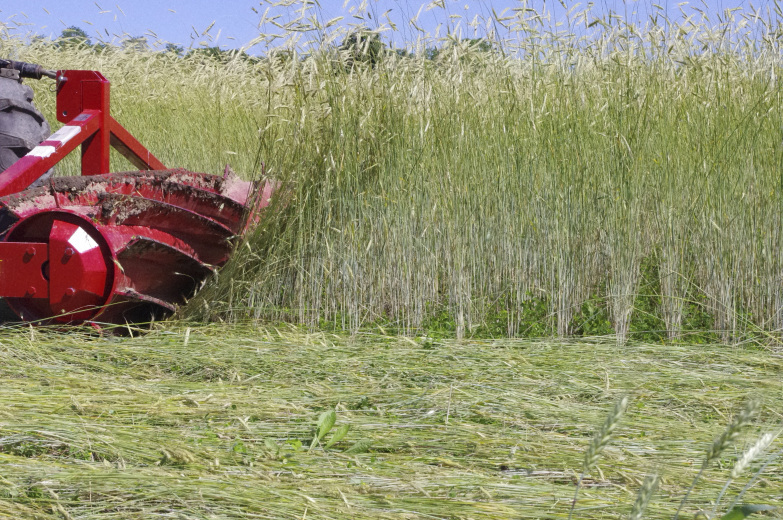 Weeds are a major problem for organic growers since organic systems exclude the use of conventional herbicides. By exploring these four organic cropping systems Margaret can examine which system is best at managing the effects of weed competition or which systems that are more conducive for soybean resilience For example, last year the experiment saw results that suggested the low fertility system was most favorable for soybeans because of competitive yield, good weed suppression, and low input costs. Picture of a plot map and treatments. Each rectangle represents a system plot. 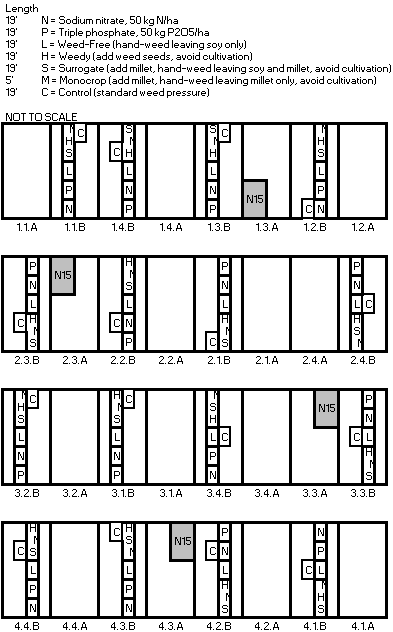 Each little rectangle within the system plot represents a subplot with a specific treatment. 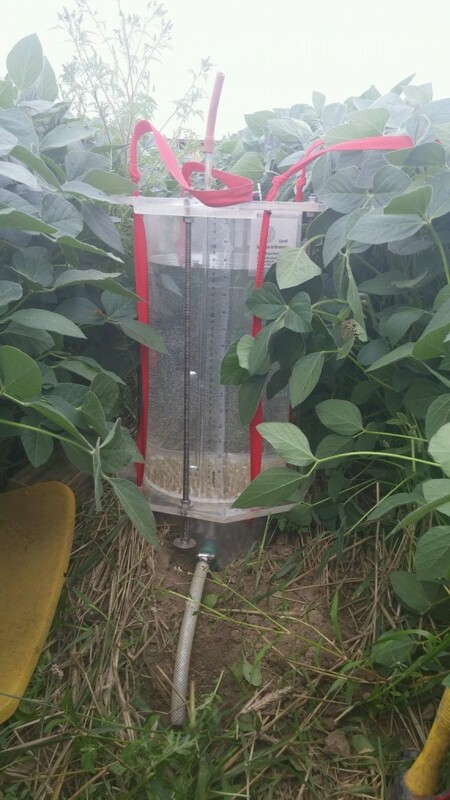 1)We first measured out where the soybeans were going to be planted in the experiment. Example of the differences among subplots. At the bottom left corner is the Surrogate subplot, next is the Monocrop subplot, then the Weedy subplot, and lastly the Weed free plot. 3)After the treatment plots had been measured out we broadcasted the millet seed, weed seed, and fertilizers. The Millet plots were designed to create consistent competitive pressure for the soybeans between all systems. The weed seed was planted to show the effect of having a high density of weeds. 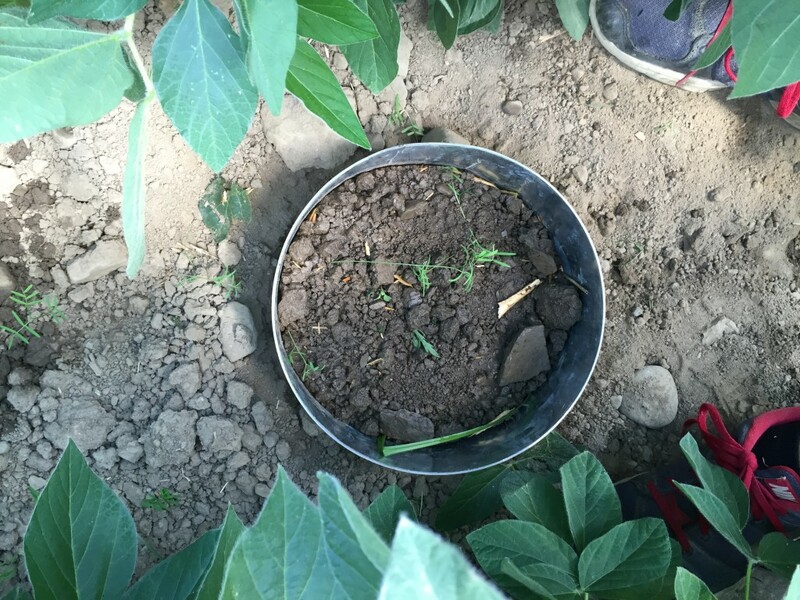 4)Soil samples were taken from plots to compare the soil properties among each system. 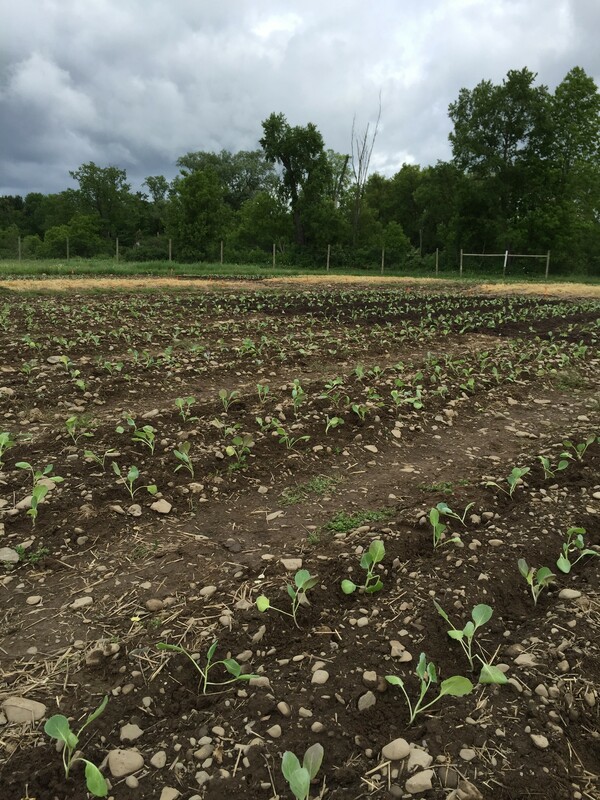 5) Due to improper germination, millet had to be replanted. 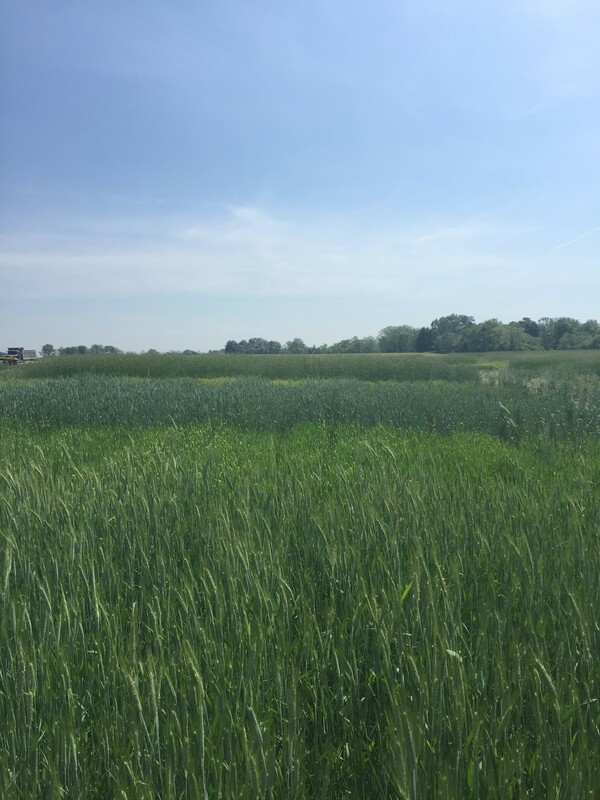 When we replanted millet we planted it in rows instead of broadcasting because it makes it easier to differentiate between millet and other grasses like Foxtail. 6) Weekly weeding of weed free plots. 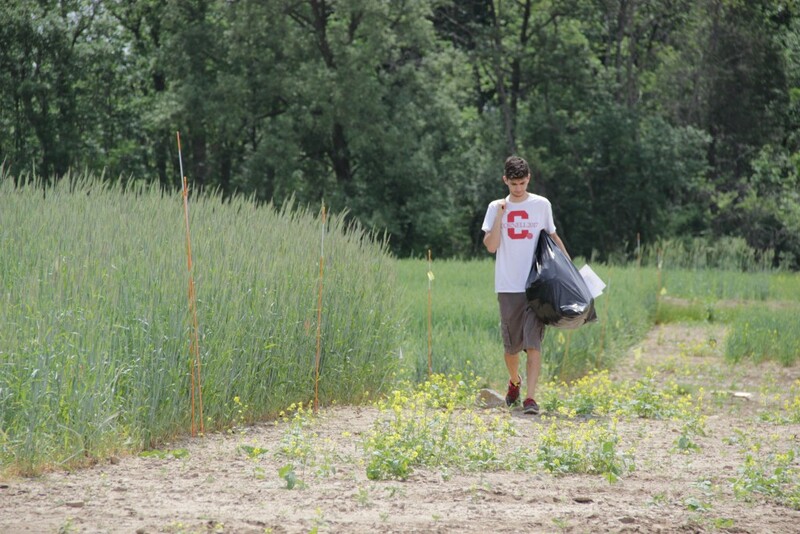 7) Lastly, we took weed and soybean biomass samples. 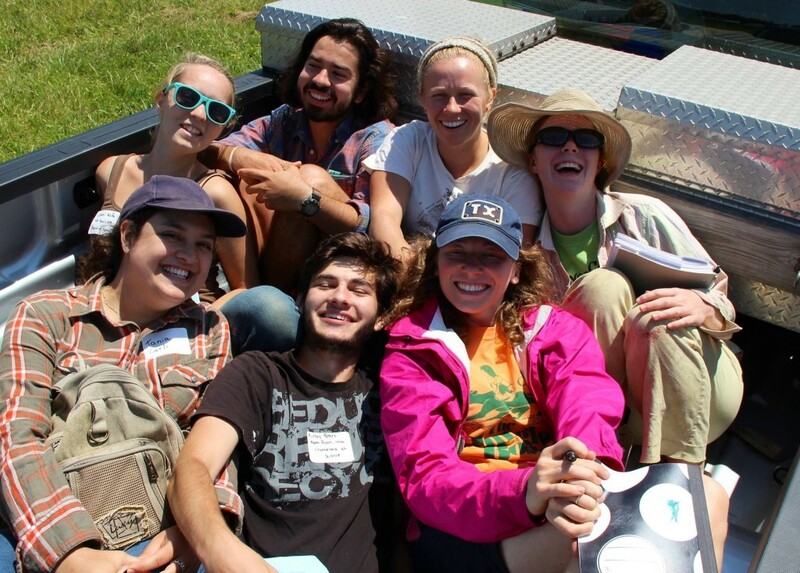 In my first post I talked about biomass sampling. The process was very similar in this experiment. Within the quadrat we identified and counted the weed species and counted how many soybeans were present. 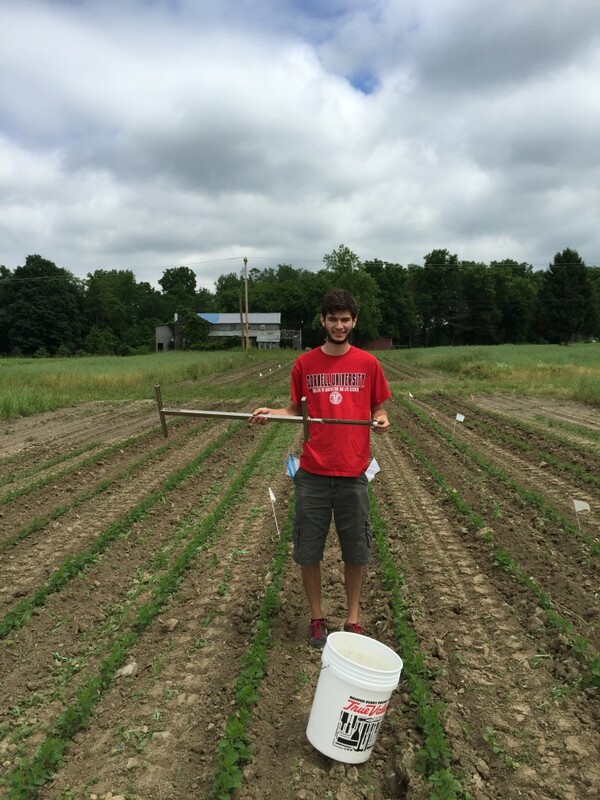 My name is Kirby Peters and I am an upcoming junior Agricultural Sciences major. 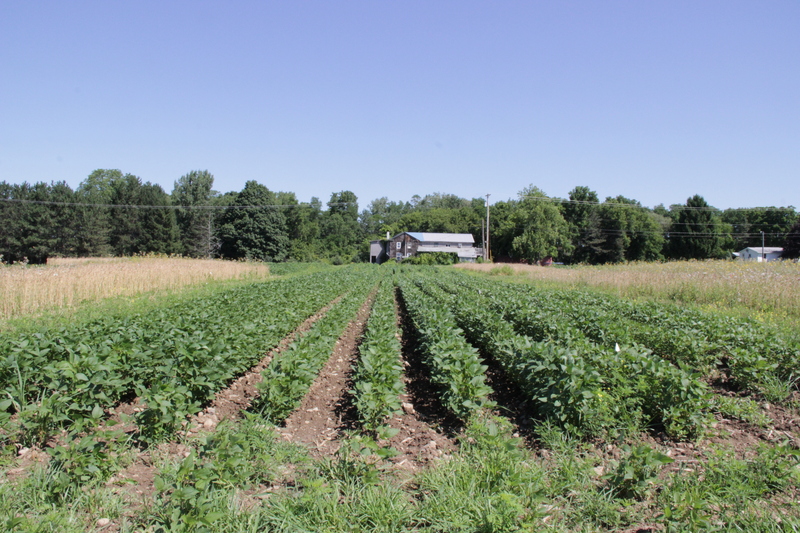 This summer I will be interning with Professor Matt Ryan’s Sustainable Cropping Systems Lab located on Cornell’s campus, however, much of the research is executed off campus at Cornell’s research farm in Aurora, NY and on various farms. Many people have been asking me what the lab is researching and it is hard to answer that simply. Our lab is performing several experiments looking at the potential benefits of different cropping systems. The labs research experiments are broken down into a few different project themes: perennial grain crops, cover crop organic rotational no-till, cover crop interseeding, forage intercropping, and ecological weed management.The lab is composed of a research support specialist, two research technicians, five grad students, and seven undergraduate research assistants. So far I have mainly worked on Jeff Liebert’s (one of the grad students) experiments. His two experiments are what we call the variety trial forage quality experiment and the variety trial roll plant soy experiment. 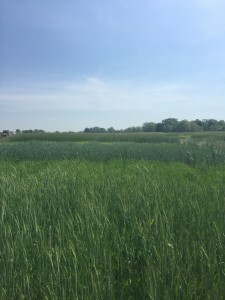 The forage quality experiment evaluates the relationship of forage quality and yield of different species and cultivars of winter cereals (Rye, Triticale, and Barley) in a double cropping system. New York state is the third largest producer of milk in the United States so that being said the impact of the dairy industry is significant. 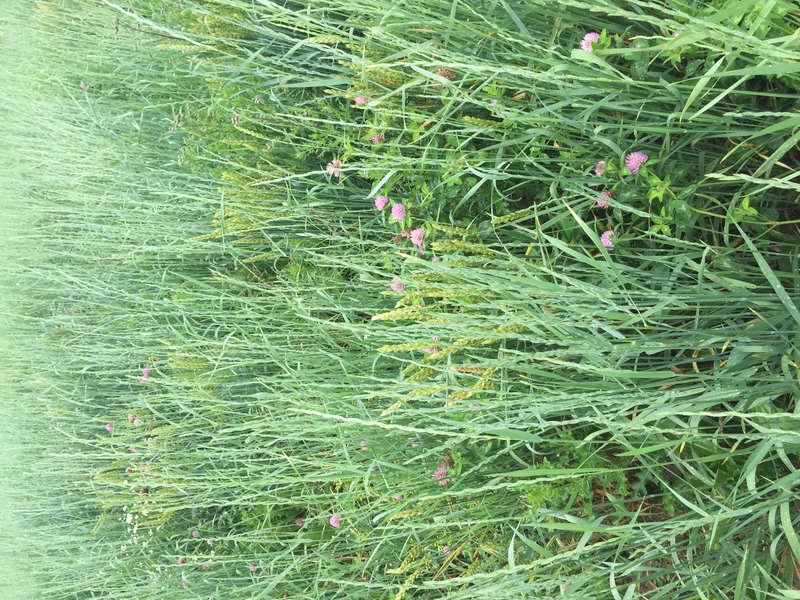 The winter cereal double cropping system possesses a few advantages: mitigation of soil erosion, nitrate leaching and phosphorus leaching runoff, an increase of homegrown forage, and improvement of farm profitability. The goal of the experiment is to provide farmers with an optimal interval of harvest for specific species and cultivars of winter cereal. By collecting samples throughout the season and analyzing biomass and forage quality Jeff can figure out an interval of time where the relationship of the two is optimized. For example, last year the results showed Triticale produces as much biomass as wheat but with a longer optimal interval of harvest. The second part of the experiment is analyzing cover crop rolling as a form of weed suppression for organic no-till systems. 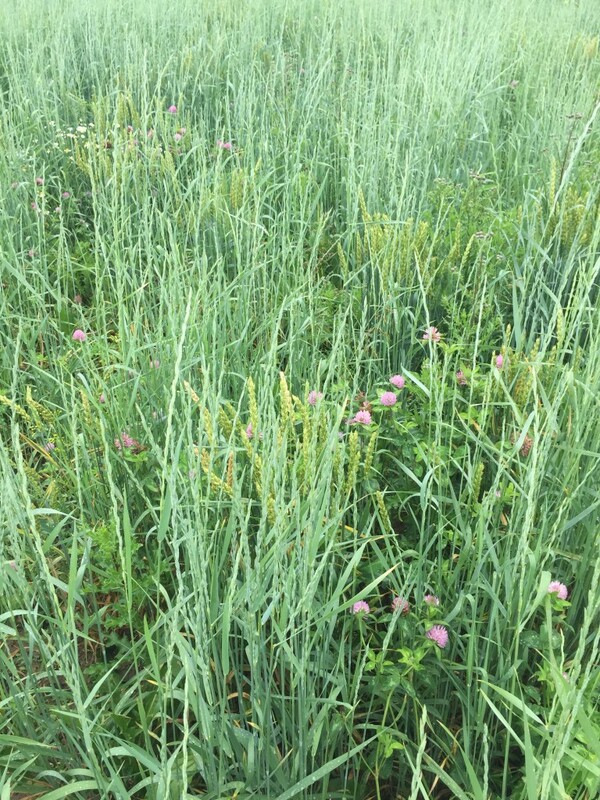 No-till systems are known for providing great soil benefits but can create weed management challenges because herbicides can not be used in organic systems. The experiment aims to optimize the blocking of light to increase weed suppression. 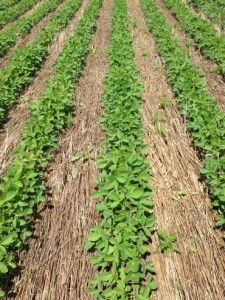 Cover crop rolling is exactly what it sounds like. 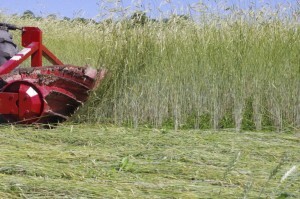 A large cylinder attachment on the tractor is used to rolled down the cover crop to form a carpet to block out the weeds. 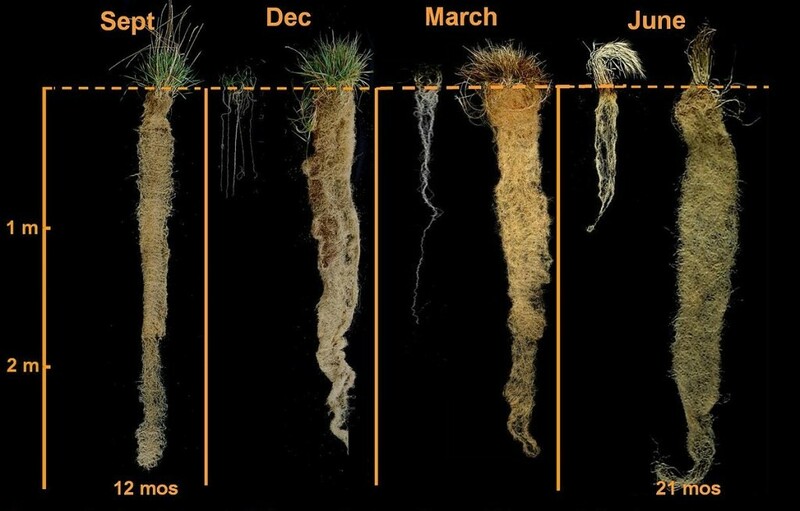 Multiple species and cultivar are rolled at different times to see what stage of growth produces the best results. 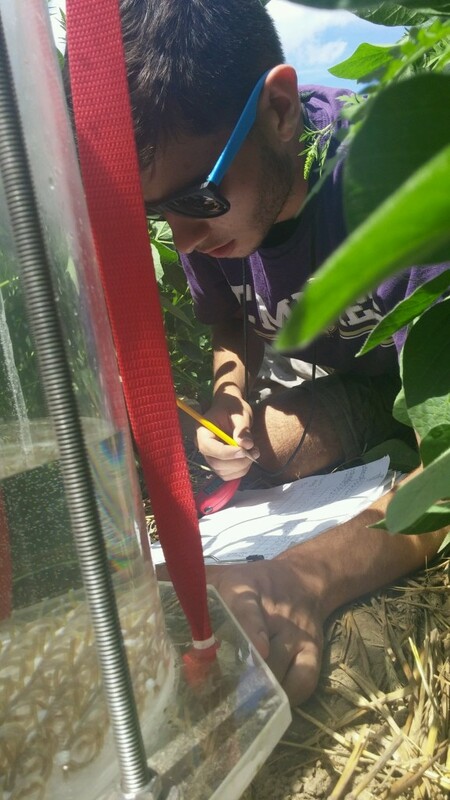 The work I’ve done on Jeff’s experiment is plant sampling. 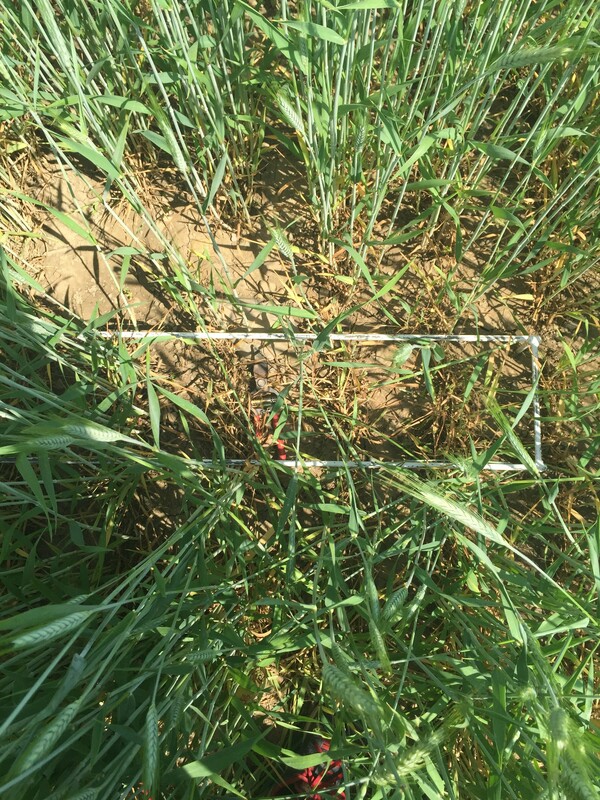 Plant sampling is done by taking a quadrat and placing it in a selected spot of a cover crop plot. Once the quadrat is correctly placed on the ground every plant (excluding weeds) that is growing within the quadrate is cut. Our lab uses electric clippers that make the cutting process very quick. If we have smaller quadrants we will also use regular manual clippers. Everything that is cut is then placed into a labeled paper bag and is then ready to head to the ovens to be dried. After the samples have dried in the oven, they are ready for sample processing. All samples are weighed and recorded. Depending on the experiment the samples are either composted or put into the grinder. A grinder is a machine that takes plant material and grinds it into particle sizes depending on the filter inserted. For all the grinding I have participated in we have been using a 1 millimeter (mm) filter. 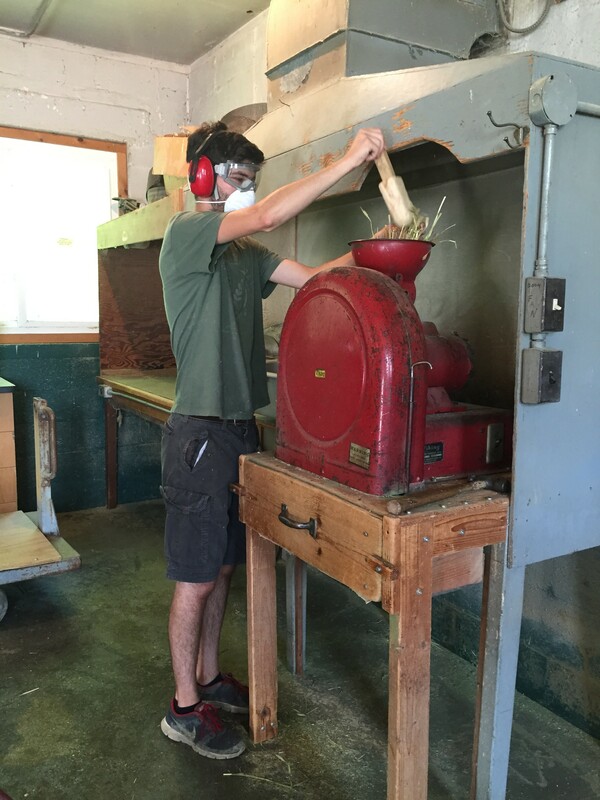 Grinding is necessary for nutrient analysis which provides us with the forage quality data. 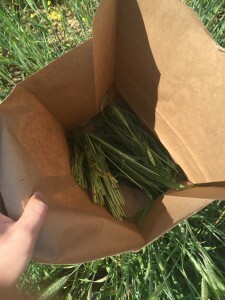 Jeff will be taking samples throughout the season so he can find a time where forage quality and yield are optimized.